Favourite purchases on Chuuk include love sticks and war clubs. Yap people produce colourful grass skirts, lava-lavas woven from hibiscus bark, woven baby cradles, betel-nut pouches and stone money. On Pohnpei, there are elaborate, carefully scaled model canoes and woven items. Stores sell handicrafts, canoes, and shampoo, soap and lotion made from fresh coconut. Mon-Fri 0800-1700. On weekends some shops open with limited hours; 0830-1330. There are good restaurants and a few cinemas in major island centres. Locals and visitors alike enjoy making their own entertainment. Video rentals are a main form of entertainment and a few well-stocked DVD and video rental stores are located in Kolonia. Sakau drinking is the most frequent evening activity on Pohnpei. 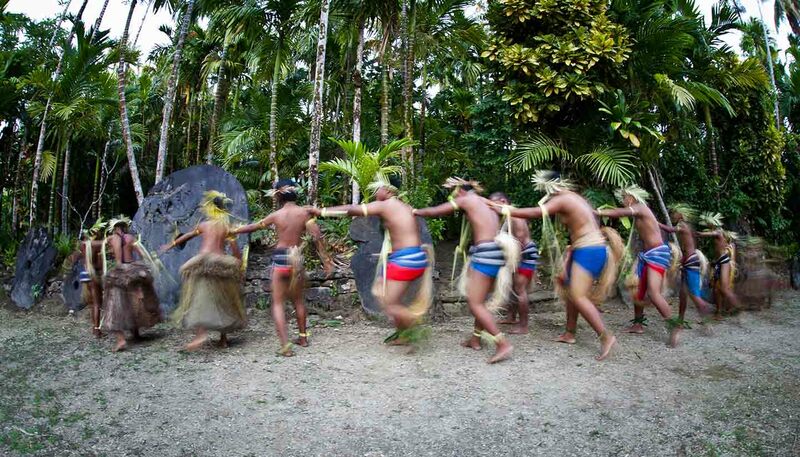 Cultural dances can be arranged through tourist offices or hotels. Most hotels have music, dancing and discos. Bars and restaurants open untill 2200 every night.